When you're building off the grid or spending time in the great outdoors, you need to think long and hard about how you'll source your water. We quite literally can't live without fresh and abundant H2O, so it's important that we take the time to evaluate our resources. 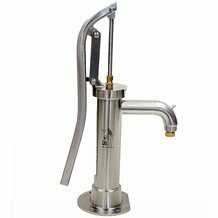 Lehman's shallow well hand pumps make excellent primary or backup systems for sourcing your water on or off the grid if you have a fresh water source less than 20 feet down. 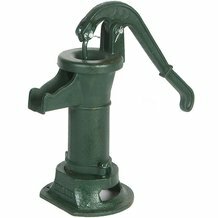 Each shallow well hand pump works by pulling water from the ground using a drop pipe and hand-powered pump. 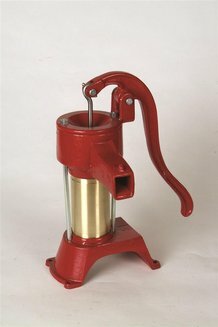 In addition to the more basic shallow well hand pumps for sale at Lehman's, we also have hand-crank chain pumps that draw water with the help of a chain and buckets. 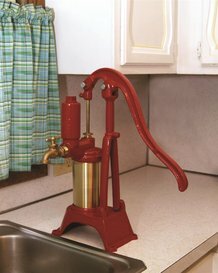 These types of pumps allow you to source water from a cistern, tank, pond or lake several feet below ground. These tanks are perfect for the homestead or any self-sufficient property. 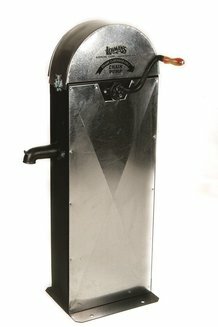 If you need a pump to retrieve water from more than 20 feet down, consider our deep well pumps. 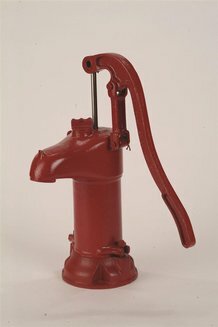 Not sure what hand well pump you need? Call our water specialists at 800-438-5346.